Address: 70, 24th March Str. Accommodation: HOTEL SHOKY offers 10 en suite double bedrooms, (6 with bath and shower, 4 with shower only), and 1 suite, complete with open fireplace. Each double room is capable of taking two additional beds. Seven of the rooms have a balcony and all have satellite TVand mini-bars. The HOTEL SHOKY also offers to its guests :a sauna, a steam-bath, massages, a billiard. Wine & Dine: The restaurant serves traditional Bulgarian dishes and international cuisine and, also, for the long warm summer evenings you can enjoy yourselves in the beautiful and large garden where is an outdoor Bar-B-Q and dining area. We visited Chepalare in feb 2008 as guests of our english friendswho own a house in the village.We were a group of 11, ranging in age from 10 to 50 years Our friends had become personal friends of Sneja and Strojan and their family on previous visits and whilst renovating their house. We could not have had better service from the Shoky family and staff even despite not staying in thier hotel, we ate there every night of our 10 day break except one where they came to us for a truely wonderful bar b que cooked on the open fire in our friends house by Stojan. Stojan's local knowledge is invalualbe and when 2 of the children in our group got lost on the moutain in pamporovo the whole family turned out to join in the search and rescue. On our last day skiing I was taken ill on the mountain with hypothermia Snezja organised a Dr to come out to the house, went to pick up the recommended drugs from the local chemist and made sure all was well. They were all truely fantastic and really added to our experience of local life. They also organise ringo's on the hill near the slopes in pamporovo, great fun for all the kids and those of us who haven't quite grown up yet. I would recomend a stay here just for the hospitality alone, oh and the local home brewed Reikia!!! I stayed at the Shoky Hotel in March 2008 with a group of 10 friends. Snezha, Stojan and their daughters Gergana and Katja looked after us very well and made us all most welcome. The restaurant staff, Eva, Radka and Marriana were superb, especially in dealing with our multiple requests at meal times. Their sense of humour and professional service made us all feel at home. Whilst the snow conditions were not the best, Stojan's local knowledge ensured that we were able to ski every day. I would recommend the Shoky Hotel and will certainly be visiting the Shokov family again. We have stayed in SHOKY Hotel in Nov 2007. Chepelare is in autumn very beautiful and quite. Great mountains and nature, fresh air and the local people are very nice. SHOKY Hotel is a small family house – new and clean, with a wonderful view all over and a delicious food. 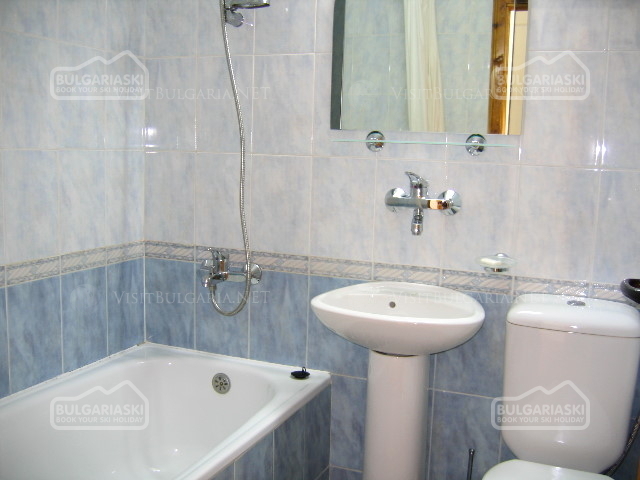 The owners - Family Shokovi: Snezha, Gergana, Katja and Stojan are very warm, friendly and cute. We have enjoyed perfect holidays in SHOKY Hotel! We can only recommend the SHOKY Hotel and Chepelare! 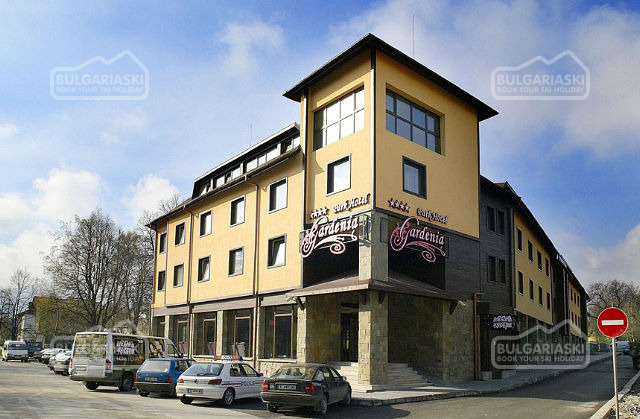 I completely agree with Ian, I have stayed in this hotel on the fourth of march 2007 for ten days and I had a great holiday, a very warm welcome on the day of arriving and the restaurant is just great and the food is so good and Shezha and Stojan are great hosts and so is Baba Ganka. I will stay in this hotel any time and I hope to stay there again next year. Snezha and Stojan Chokov are marvellous hosts. Their hotel is excellent, having beautifully furnished rooms, excellent food and a family friendly environment. 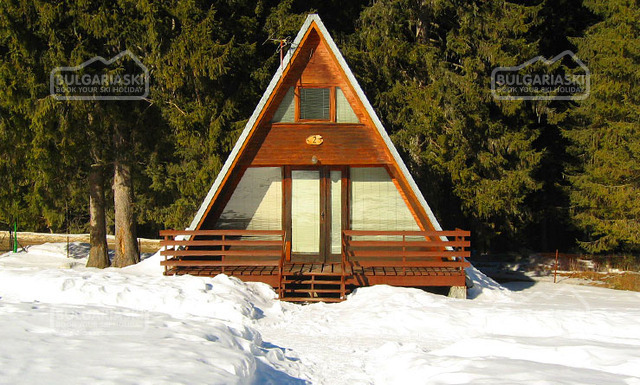 Stojan also offers ski school facilities, ski hire and, in the summer, treking and site seeing tours. Having tried their hospitality many times, I can thoroughly recommend their hotel. Please, post a comment on Shoky hotel, Chepelare.